This interview is with Dr. Norman Chorn. I have asked Norman the questions I most observe managers and leaders dealing with when working with teams. But first a bit about Norman . 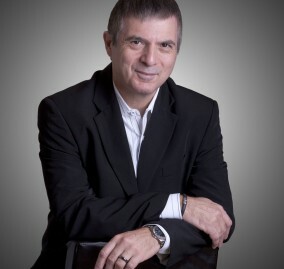 Norman’s work focuses on improving the strategic leadership of organisations. Since many organisations operate in complex operating environments, and are often complex systems themselves, his work is influenced by two fields of thought. Complex systems theory describes how organisations and their components behave and how they might be influenced. And neuroscience (the brain is a good example of a complex adaptive system) provides new insights into strategic thinking and leadership under conditions of uncertainty and risk. Q. Why can’t my people be more Strategic? A. This is a comment I hear often when consulting to senior leadership teams. They complain that they spend much of their time doing the strategic thinking and problem solving for their direct reports. The default response is often to recommend additional training for these staff. While the lack of training and experience may be a contributing factor, there are other factors that are often overlooked. The two most common are the ‘power differences’ in the design of their organisation, and the ‘action’ orientation that they often promote in the culture. In organisations with a high concentration of power at the apex of the organisation, most staff spend a disproportionate amount of their time trying to anticipate and respond to the decisions made by session leadership. Quite frankly, this can be exhausting, and a large proportion of people’s cognitive energy is spent being on ‘high-alert’ for long periods of time. Allied to the fact that they are often ‘summonsed’ at short notice to drop what they are doing to respond to a new request, they have little capacity for doing any decent strategic thinking. The levels of cognitive stress in these situations – although not immediately apparent – is sufficient to limit the amount of reflective thinking, so important in good strategic thinking. The action orientation issue is interesting. Most organisations believe that they need to raise the tempo of their decision-making and operations in keeping with the increasing pace of business. This is obviously intuitively appealing, but there are a number of potential downsides to this approach. The first is that the ‘insight phase’ is often eliminated in these fast-moving situations. This is the phase where we examine the facts and data and boil it down to derive its deeper meaning. The ‘boiling it down’ process involves the regrouping and abstraction of the data to derive new insights and understanding. This is difficult to achieve during periods of continuous action – and so the insight phase is overlooked. When this happens, decisions are generally made reflexively – and we rely on what we have done in the past and established habits. The second downside is that action oriented cultures often have little time (or interest) in a self-regulation process whereby they examine if their current actions are ‘on mission’ or on the critical path to their goals. As a consequence, ‘strategic drift’ is a common characteristic of action orientated organisations. A. It’s hard to get your people to slow down if the systems, processes and leadership expectations create the conditions for relentless action. Leadership is seldom able to directly improve the performance of an organisation. What it can do, however, is to create the conditions in which performance improves. Focus on cognitive management rather than simply time management: Our brains are not computers that can perform consistently for long periods of time. They require short sharp sprints with periods of rest and distraction in between. So, create deliberate pauses between meetings and planning sessions to manage the cognitive load on people. Separate the strategic thinking from the planning sessions: Planning processes require different ways of thinking to strategy processes. Planning can be done quickly and logically – an analytical process. Strategy requires insight, a process that requires time for reflection and the opportunity to ‘get away’ from the task. One cannot hurry up and relax! Schedule your meeting with purpose – and keep them short: Our brains have a natural rhythm that suggests mental energy is highest in the morning. This means that mornings are the time we are likely to access our executive functions such as analysis, logical thinking and prioritisation. When the brain’s energy sources are depleted – often in the afternoon - we rely more on our limbic system. As our brains tire, it is more prone to seek alternative and creative connections. Afternoon meetings are best for brain storming and creative problem solving. Q. Where does mindfulness come into this and what is the science behind it? A. Mindfulness is the awareness of the present moment experience, with intention and purpose, without grasping onto judgements. At an individual level, research has shown that mindfulness training will strengthen your ability to regulate your attention and emotional responses. The work of Dan Siegel and Jon Kabat-Zinn are significant contributions in this field. Deliberately induce cognitive unease in your planning and important decision-making processes: Cognitive unease is not the same as cognitive stress. While stress can inhibit your peripheral vision and ability to think innovatively and seek creative solutions, cognitive unease is the state of arousal that alerts you to move into a deeper, more reflective style of thinking (system C thinking).Because of the need to conserve the brain’s precious resources, we seek out opportunities to use reflexive thinking (system X thinking) wherever we see a familiar looking pattern of information. It is, in fact, the default system in most cases. This means we rely on an established (habitual) repertoire of behaviours to address the situation.Once reflective thinking is induced, we will think more strategically, weigh up the options and purposefully use a risk-managed approach. Reflective thinking will avoid the prejudgement and potentially biased decisions that are made under reflexive approaches. So, how do we induce this state of cognitive unease that promotes reflective thinking? ‣ create pauses between meetings and allow the time for key decisions to be made. Norman consults to public and private sector organisations in most English speaking countries and has visiting appointments at several graduate schools of management, including Macquarie University (Australia), University of Pretoria (South Africa) and Canterbury University (New Zealand). He has also published widely in journals, speaks regularly at international conferences, and has authored two books in the field of strategic thinking and organisational effectiveness. If you wish to read more about his work, you can go to these links. These are direct links to Amazon.